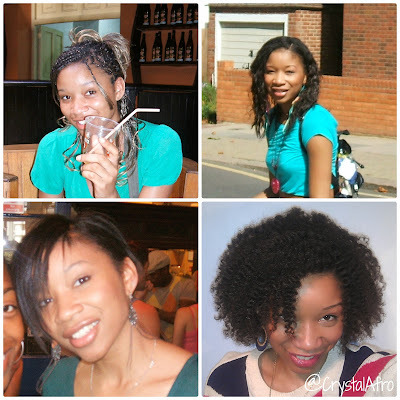 Over the Summer I had a quite a few people ask me about how to go natural, and what my advice would be, so this blog post is for anyone else out there who's newly natural or thinking of going natural. I hope it helps and I plan to address each of the 4 sections below, in more detail in the future. 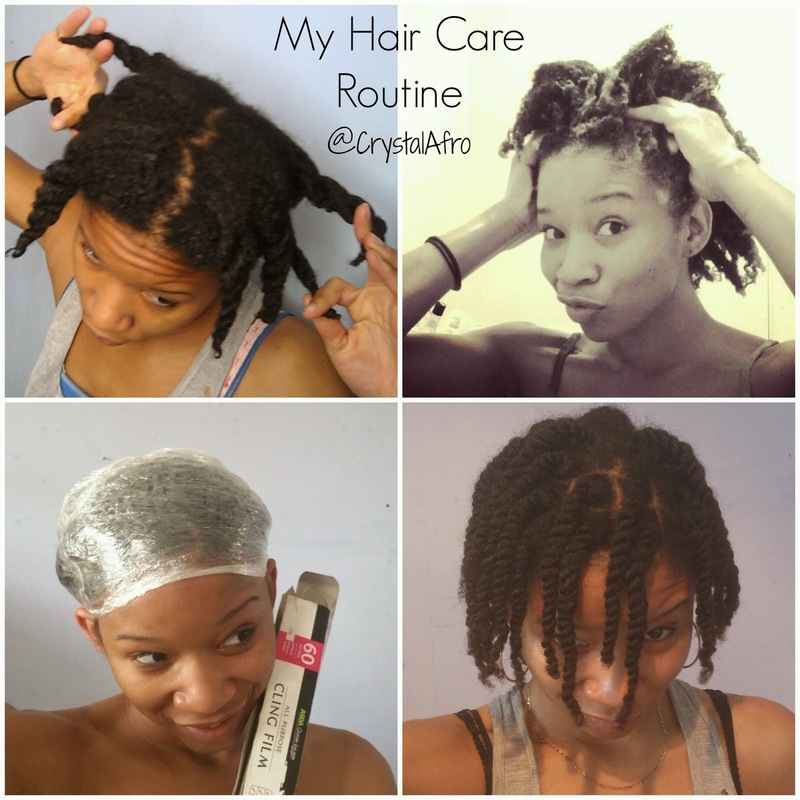 Get To Know Your Hair and Do What Works For You! Your natural hair is yours. It was created as it was meant to be. Regardless of how you manipulate or even hide it, that will not change, you will always have your type of hair. What you do with it is up to you. The more you learn and understand about your hair the more options you'll have. 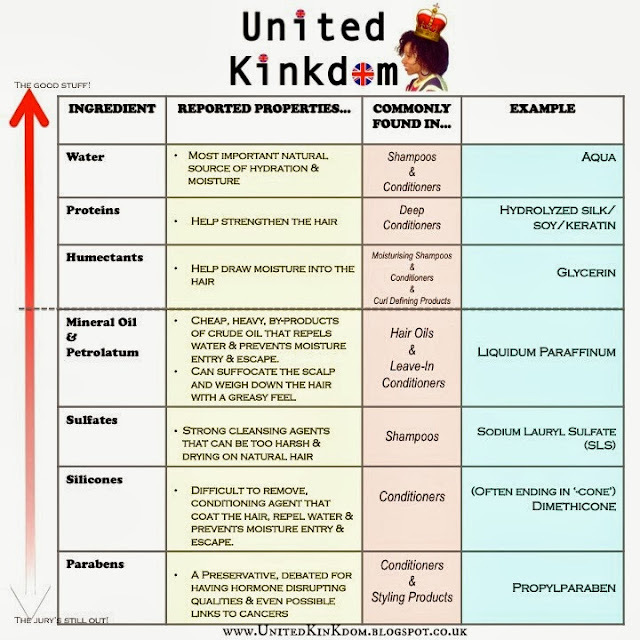 Forget most of what you originally learned because up until the relatively recent rise of natural hair blogs, books etc, most hair care information has been based on European hair. Afro hair will respond less favourably to hair care practices designed for straight hair. This does not make it abnormal or unmanageable. It has different needs, which once you've learned you'll recognise as "normal". Feeling confident and beautiful is essential! You have every right to feel this way about yourself naturally! Every head of hair is unique but on average, the following facts remain true for ALL hair types regardless of race. Hair grows approximately 10-12cm per year. Every hair has a "Growth Cycle"
Hairs grow from their roots, which are located in follicles (microscopic pockets) in the scalp. 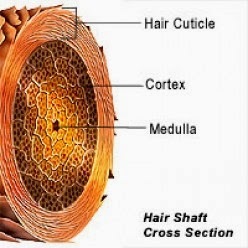 The shape of the follicle is thought to effect the shape of the hair strand. Hair is a complex combination of water, lipids, melanin and a protein called Keratin. Afro hair tends to be the curliest/ most coily hair type. 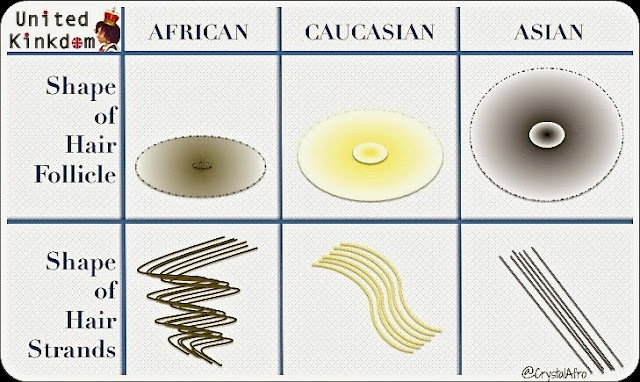 Afro hair follicles tend to be a small, flat oval, "elliptical" shape (which is possibly the reason the hairs grow curly). Afro hair tends to get dry easily. The multiple coils/ bends along Afro hair strands make it harder for Sebum (the natural oil produced by the body) to travel from the root to the tip. Afro hair tends to be the the most delicate hair type. 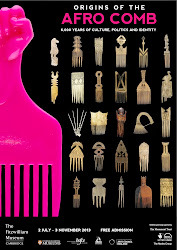 The coils/ bends along afro hair strands make afro hair more delicate than any other type. Everyone's hair care routine will differ according to what works best for them personally. For example - I usually wash my hair every 7-10 days. Afro hair is delicate so handle it gently. It tangles easily so be especially gentle when removing knots. 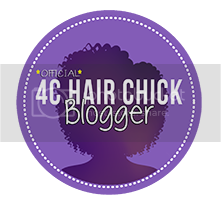 Rough handling of Afro hair is one of the main causes of breakage. 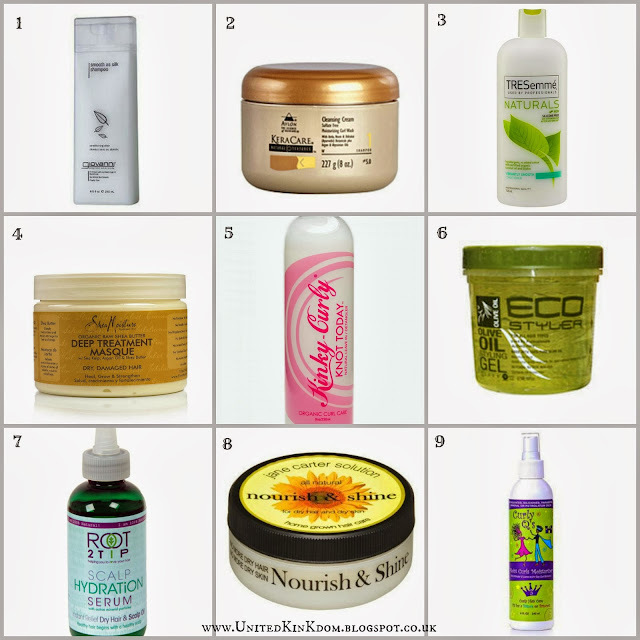 How you handle your hair is more important that what products you use. This helps you to form good hair habits. I also think it's a good way of training your hair to get used to healthy hair practices and responding positively. I handle my hair in about 4 sections. I usually apply conditioner/ a pre-poo to my hair and use my fingers to comb it through, and detangle one section at a time. This step speeds up the rest of the process as Im not struggling to detangle through out the other stages. Apparently it can also help protect the hair from harsh shampoos that can strip your hair of too much moisture. 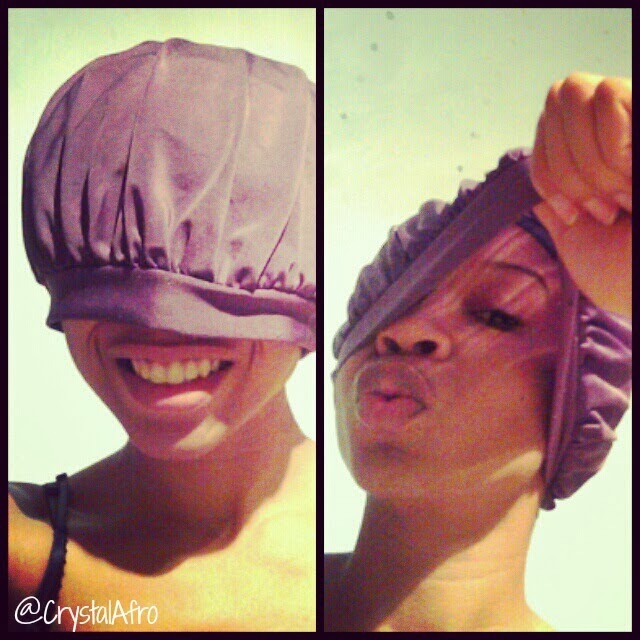 Its important to cleanse the scalp so that your hair has a clean healthy environment to grow from. It's also important to rid the hair of product build up, dirt, etc that can reduce your hair's ability to absorb moisture. You can either use a regular rinse out conditioner or a deep conditioner. Regular rinse out conditioners are the type that you rinse off after a few minutes. I prefer to use deep conditioners, which are the type that you leave on for about 20 -30mins, sometimes longer, before rinsing. This is the stage where I apply a leave in conditioner, to help my hair remain moisturised as it dries and reduce tangling so that (stage 4) styling my hair is easier. I usually style my hair into twists while it's still damp, pin/ tuck the ends away, and leave it to air dry. I try to keep my hair in a protective style for the majority of the week, to keep my ends safe and reduce tangles. Twist/Plait - This prevents knots and tangles, and makes it easy to style in the morning. Spritz/Re-moisturise - I either use a water-based spritz or a light leave-in conditioner. Oil Scalp - I only do this a couple of nights a week if necessary, and I DON'T USE GREASE! I only use natural oils. To restore longer lasting, intense moisture and strength to hair. To provide smoothness and hold when styling the hair. Products such as gels and creams that help to define curls, tend to be very popular for natural hair. To nourish the scalp or lightly seal in moisture, provide shine and reduce frizz of the hair. I prefer to use natural oils. To lightly restore moisture to dry hair from day to day. Water-based spritz' are most effective for this. Not all products are what they're labelled as, and not all products do what they say they will. The term "Natural" is extremely popular right now, so be careful. A lot of products that are labelled 'natural', instead contain a large amount of synthetic ingredients and chemicals. The first 5 ingredients on any product ingredient list tend to be the most important. Ingredients are usually listed in order of concentration, starting with the highest; so the first 5 ingredients form the highest percentage of the recipe. Below is a table of the ingredients that I frequently came across when I first began researching what to put in my natural hair. I'd consider these to be just a few of the main ingredients to be aware of when product shopping. Stage 5 - Be Inspired! 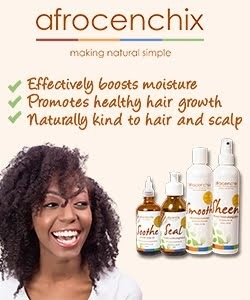 Take pictures of your progress, gather pictures of hott natural hair styles, connected with other naturals online. These are all fabulous sources of inspiration and encouragement, so make the most of them. I know this is one of my longest posts for a while but I felt it was necessary after multiple requests, plus I've been wanting to get this post up for all the newly naturals for ages, sorry it took me so long, but I hope it helps. 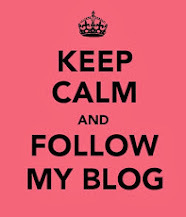 As I said, I'm a blogger not an expert but this is a basic review of the information I've gained along my journey. I really hope sharing it will be useful to people. As this is just a basic guide, I promise to develop on the various sections individually in the future. Stage 2* - Please note that there is still a distinct lack of scientific research with specific regard to Afro hair, therefore the current information available is the most generally accepted scientific explanation to date. Keep up the good work. Even for us 'oldies' this is a good point of reference.